Google has added a couple of changes to their "site targeting" feature that will make "site targeting" a much more viable option for many advertisers. First off, Google has introduced CPC bidding for site targeting. Before, you could only bid for every 1000 impressions. We tried out site targeting before, and even though it looked promising, we simply blew through too many impressions testing different sites out. CPC bidding will allow us to do more extensive tests on different sites in the content network, and I believe it will greatly improve our ROI. 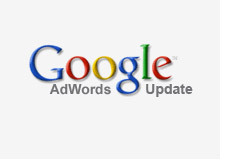 Targeting sites in the Google network would seem to me to be a great way to increase overall traffic and overall ROI. I will be testing this out over the next few weeks. Secondly, Google has introduced the ability to target specific pages of a site, or even a specific adblock. Let's say that you ran a movie web site; well, you could now target the movie listings section of an online newspaper, instead of having to run your ads sitewide. Again, this will just increase ROI, as the more specific you can target, the higher your ROI goes. Just another example of why Google is by far the best option out there for CPC campaigns. They are supremely interested in improving the ROI of their advertisers. When you compare this to a company like Overture, who just seems interested in lining their pockets at any cost, you can see that there is absolutely no comparison.